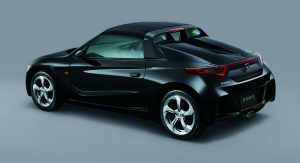 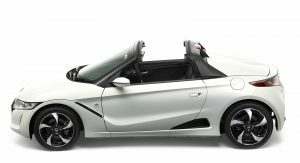 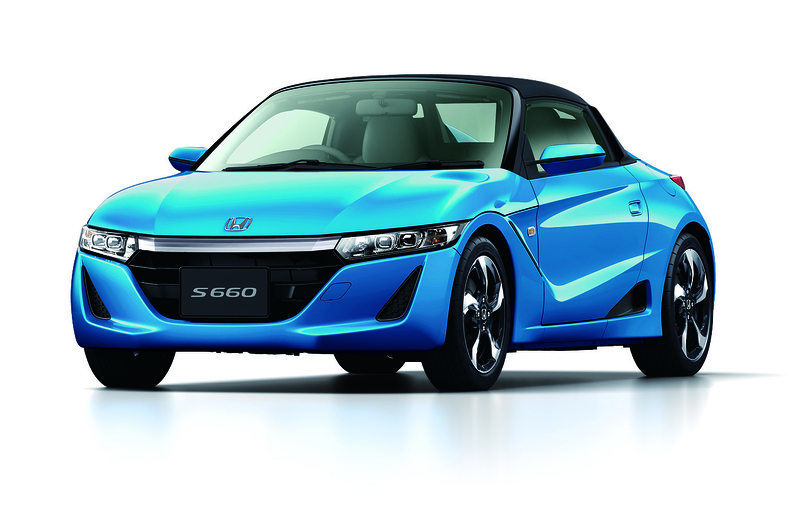 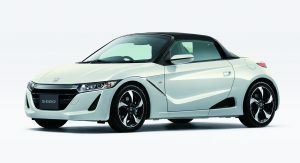 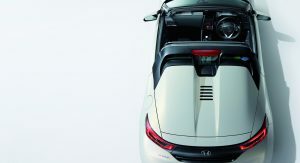 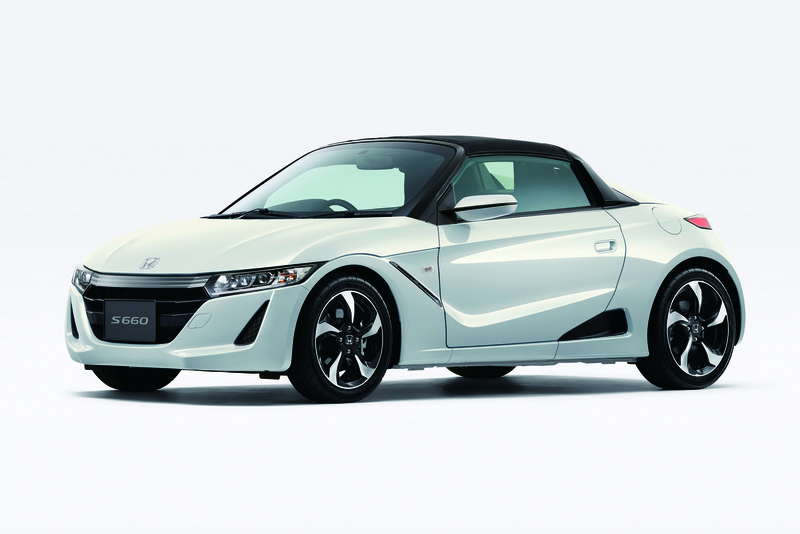 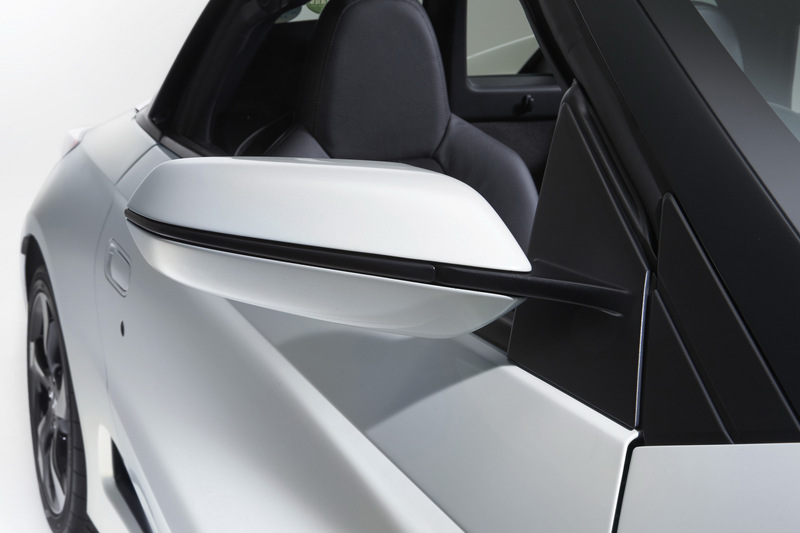 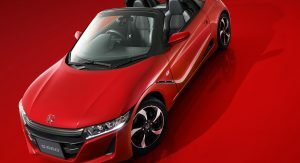 The Honda S660 two-seater roadster has been officially unveiled in Japan, where it will go on sale on April 2. 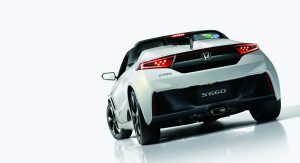 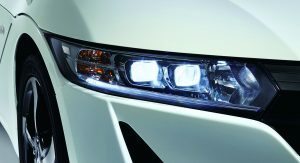 The mark the launch of the all-new model, Honda will also release the S660 Concept Edition, a special model that will be sold in a limited run of 660 units. 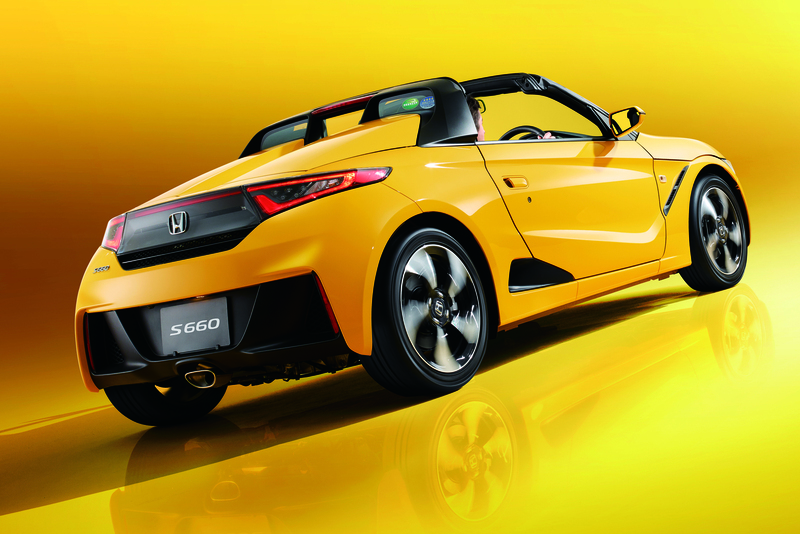 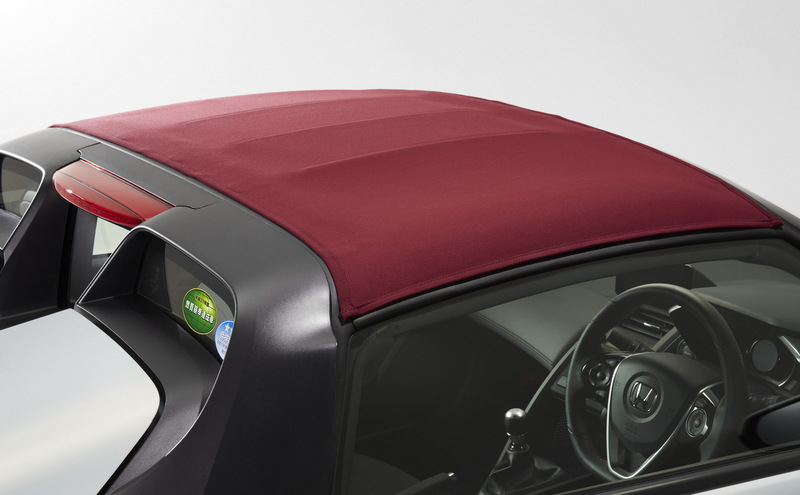 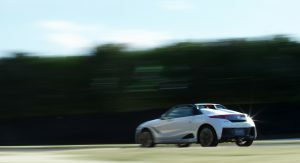 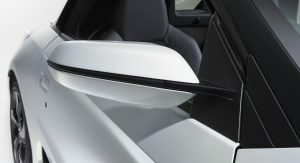 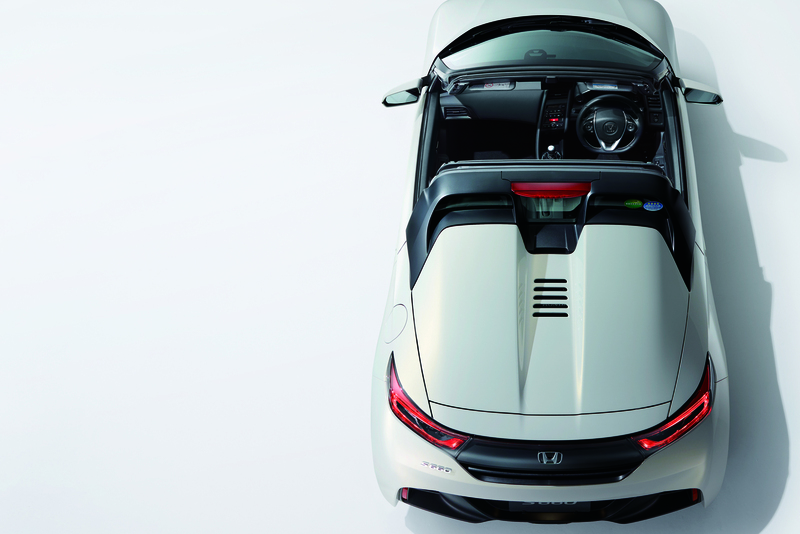 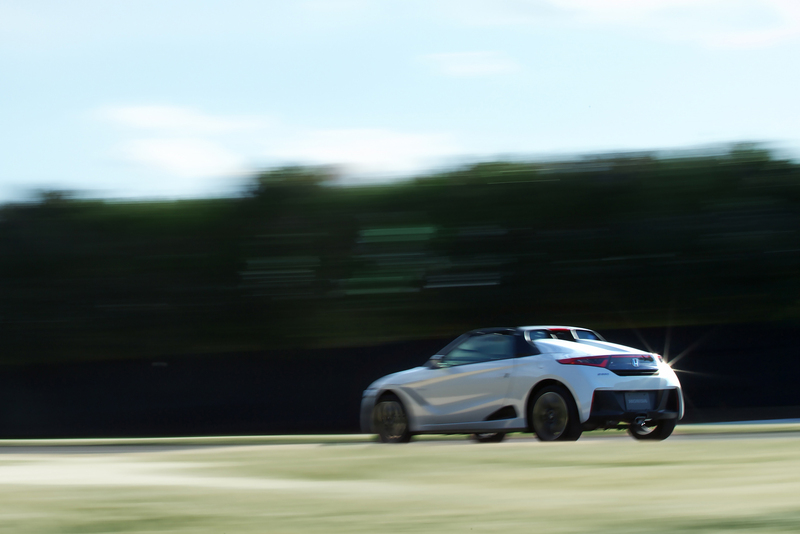 Honda says the S660 is a full-fledged sports car that offers excitement and a “heart-throbbing experience.” These statements are backed by the mid-engine/rear-wheel drive layout of the car, which results in a 45-55 front-rear weight balance and a low center of gravity. 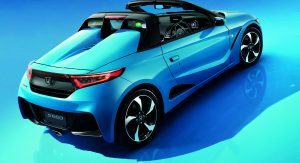 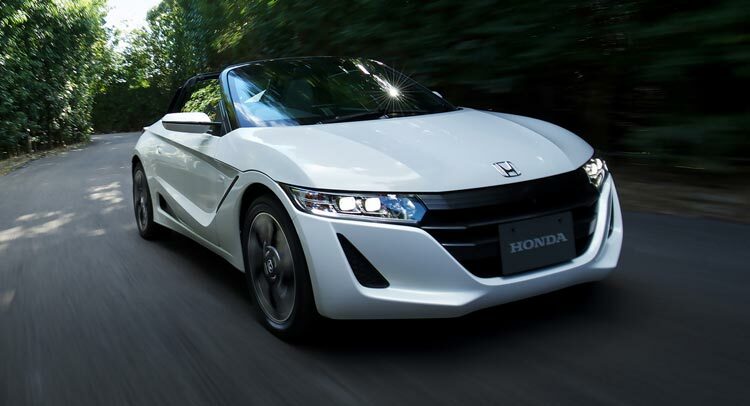 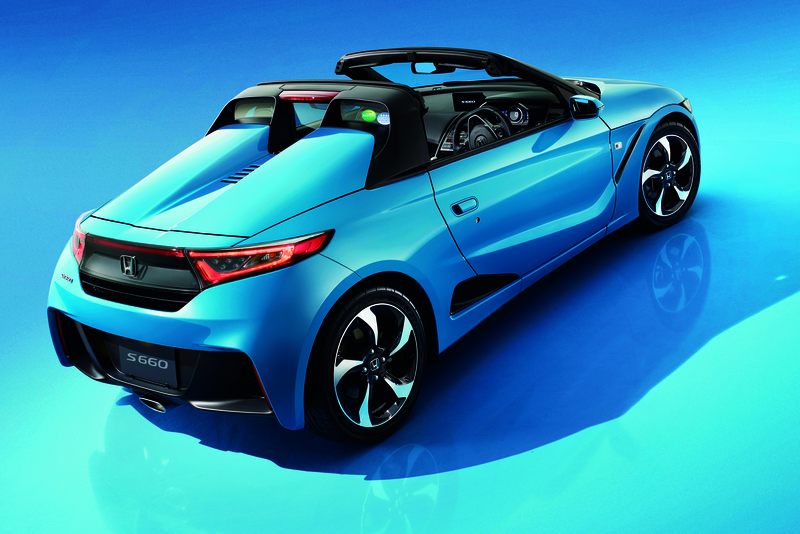 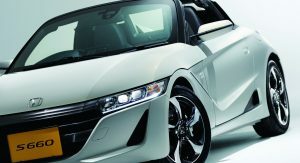 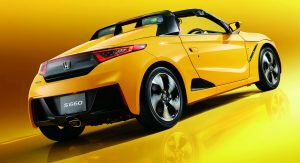 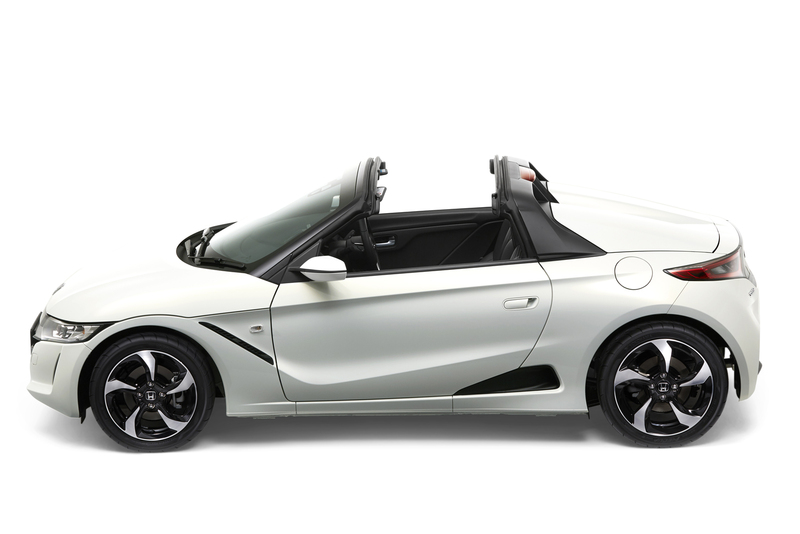 Honda says the open-top body combines high rigidity with reduced weight, with the S660 said to deliver “excellent cornering performance.” Power comes from a 64PS (63hp) 0.66-liter turbocharged three-cylinder petrol engine, as the car is part of the kei-car segment in Japan. The turbocharger has been designed exclusively for the S660 and is responsible for quick response even in the low engine rotation range. 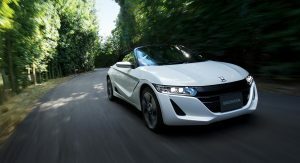 The engine is mated to a newly-developed 6-speed manual transmission, which makes the S660 the world’s first kei-car equipped with a 6-speed manual transmission. 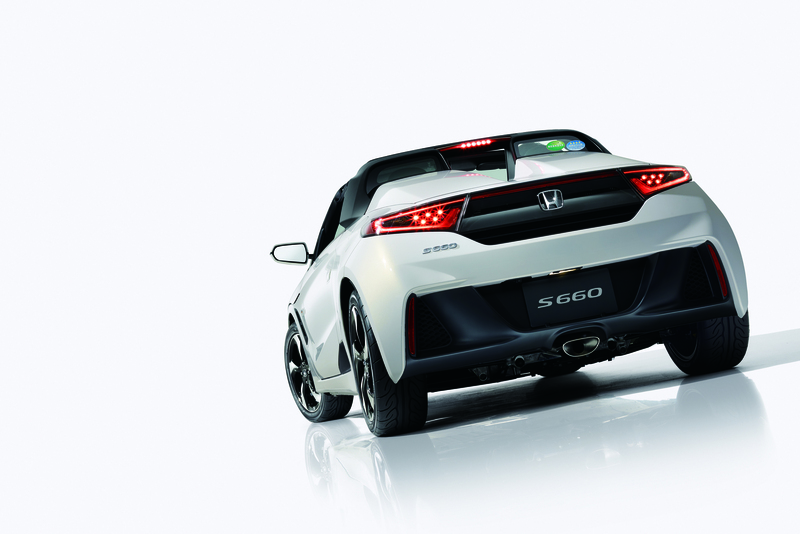 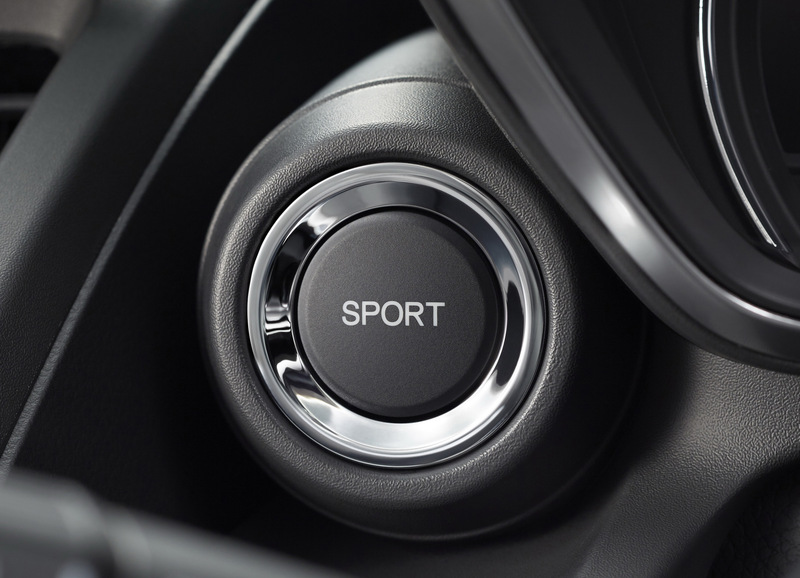 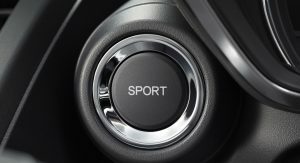 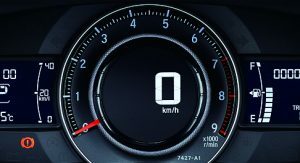 Additionnally, the S660 is also available with a CVT (Continuously Variable Transmission) with 7-speed paddle shifter that features a sports mode. 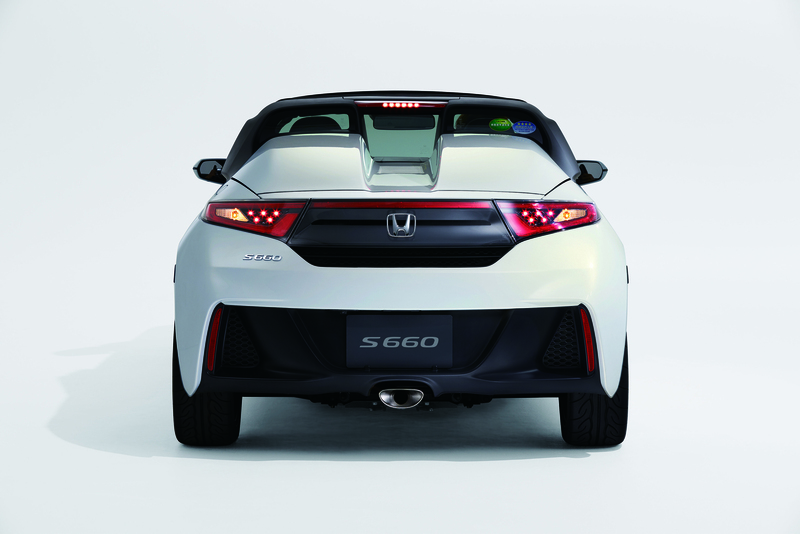 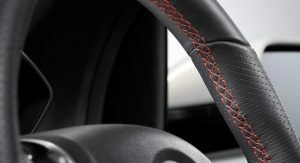 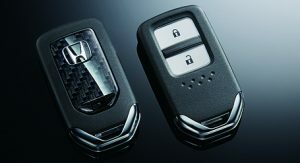 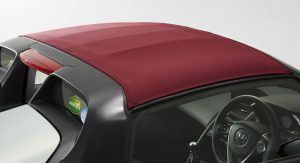 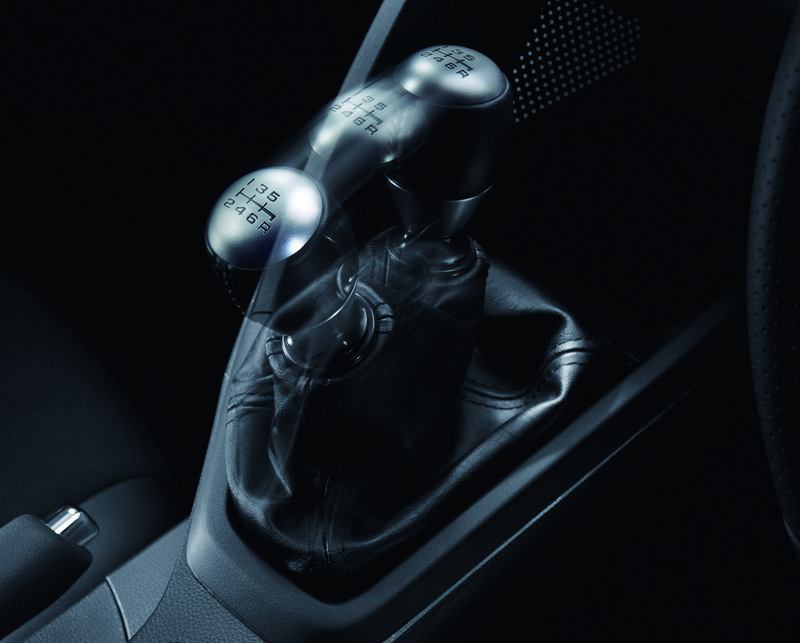 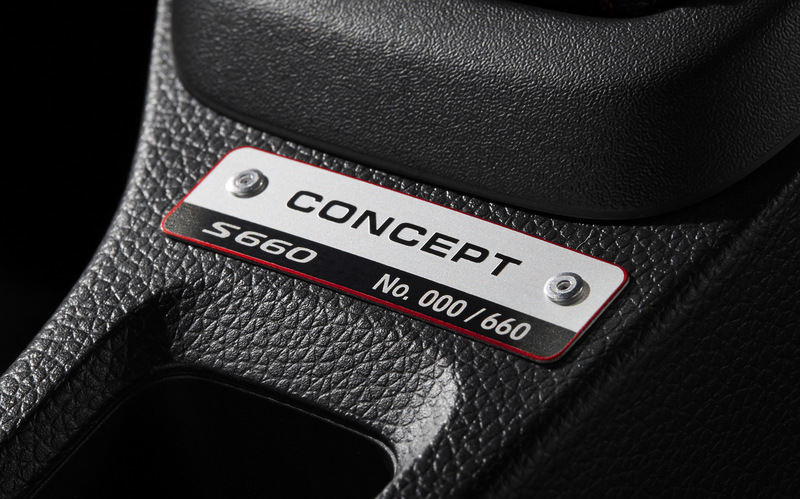 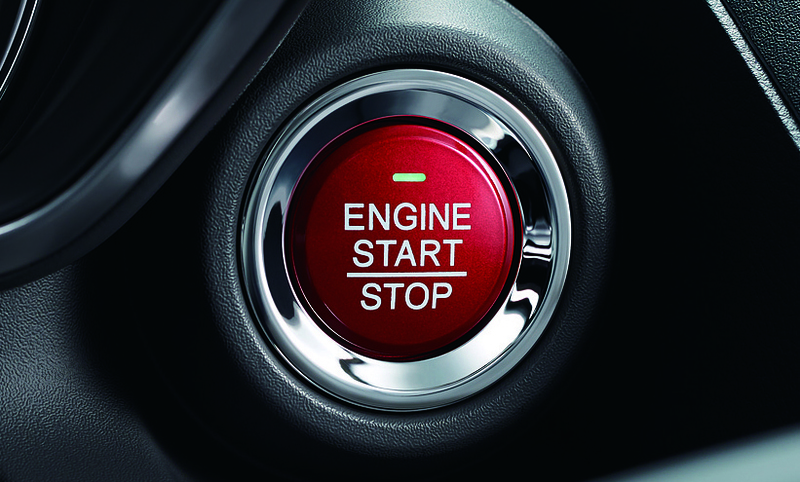 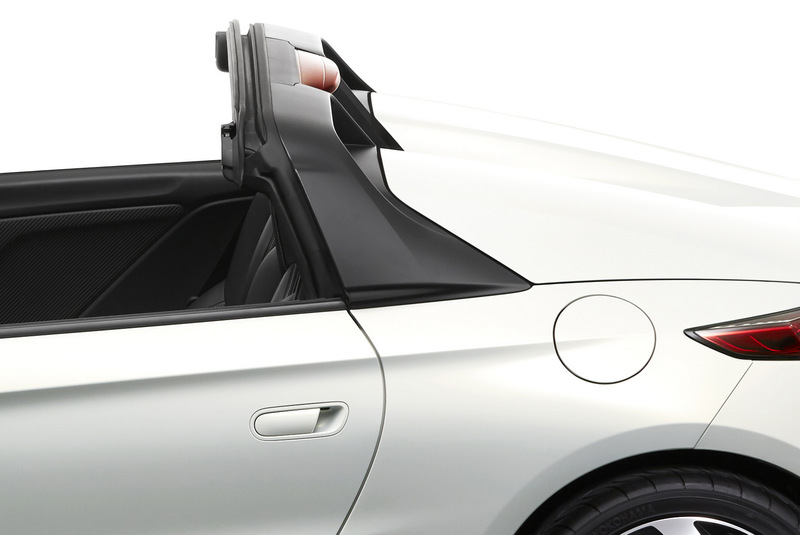 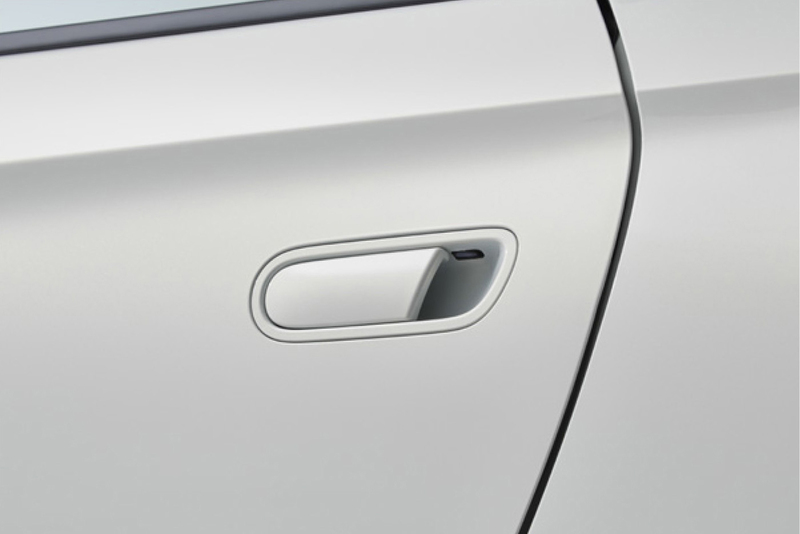 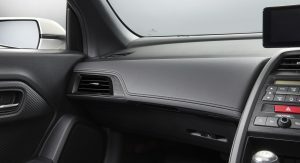 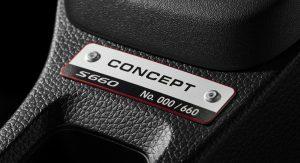 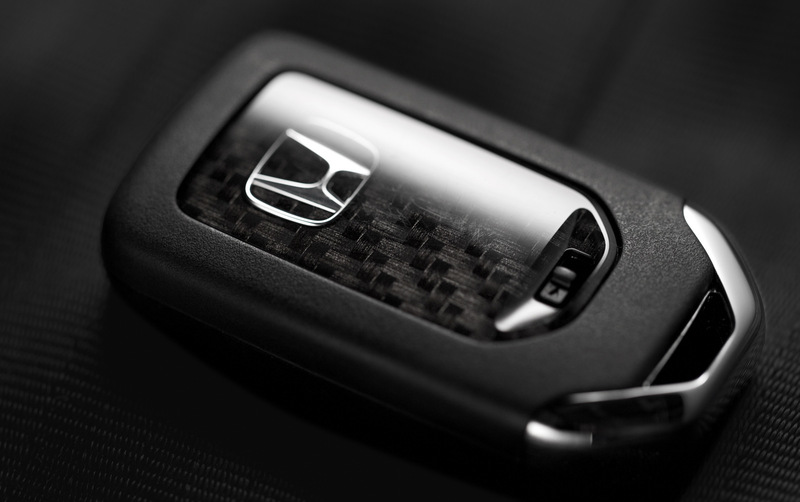 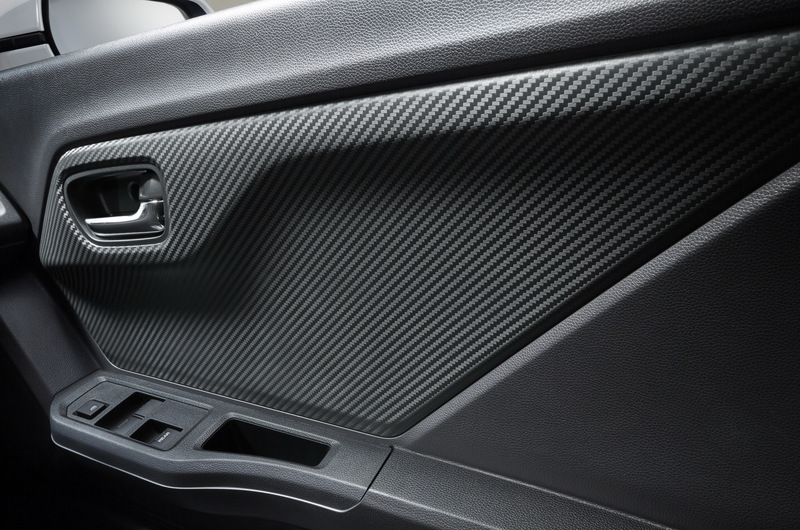 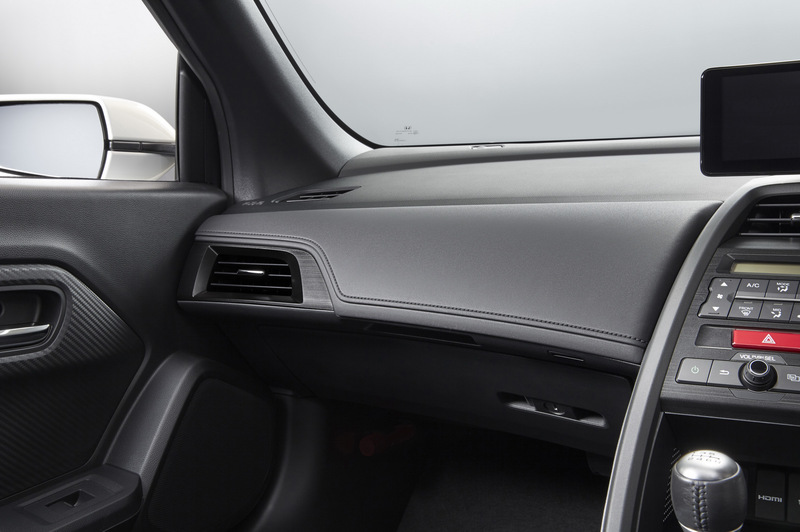 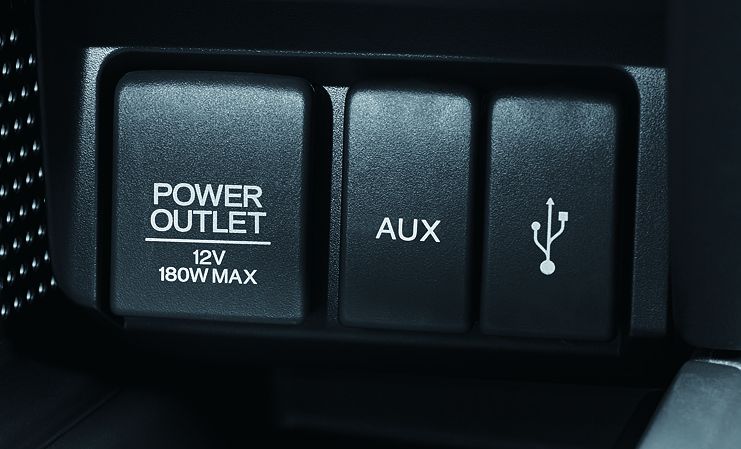 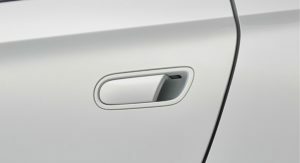 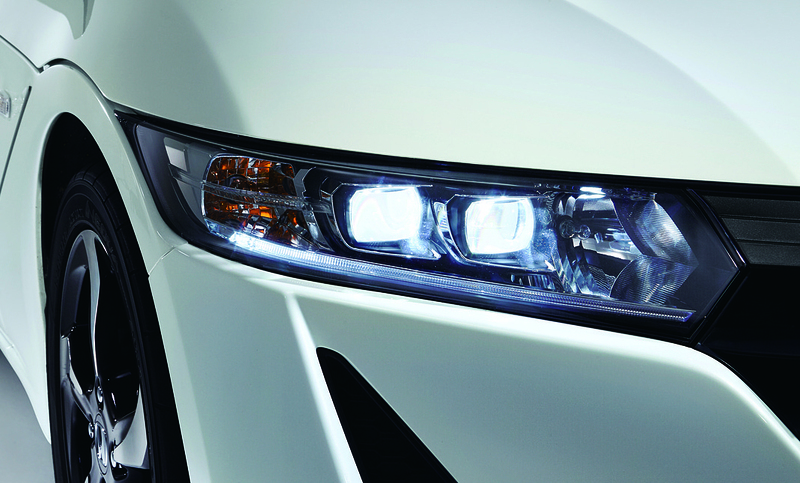 The S660 also features a first for its category, the Agile Handing Assist electronic control system. 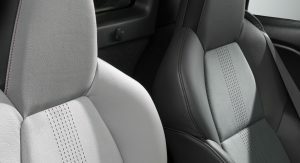 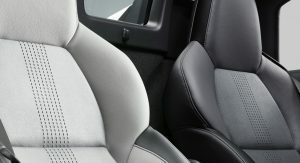 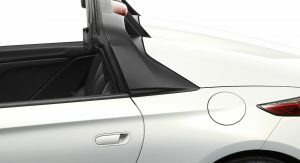 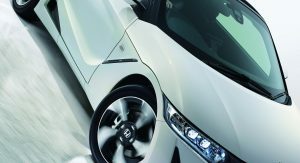 Using brake torque to apply control in accordance with the movement of the vehicle body, the system makes cornering easier. 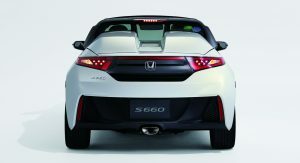 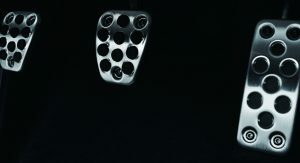 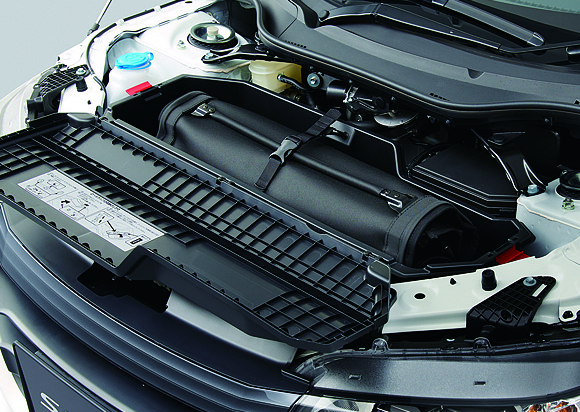 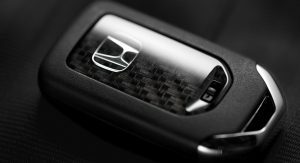 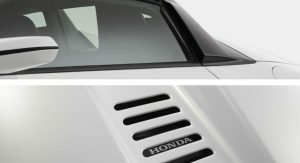 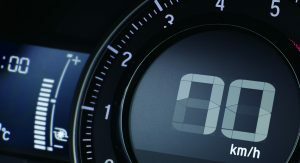 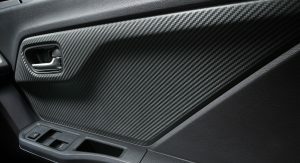 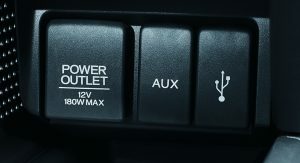 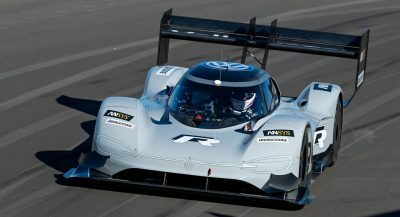 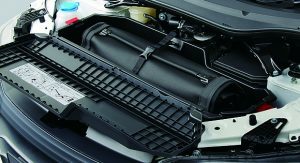 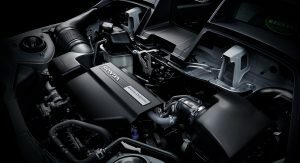 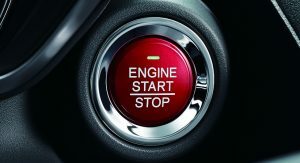 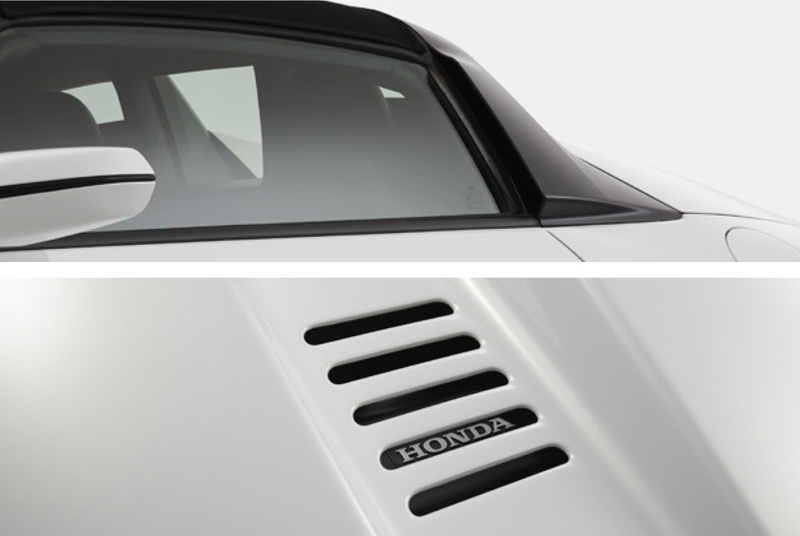 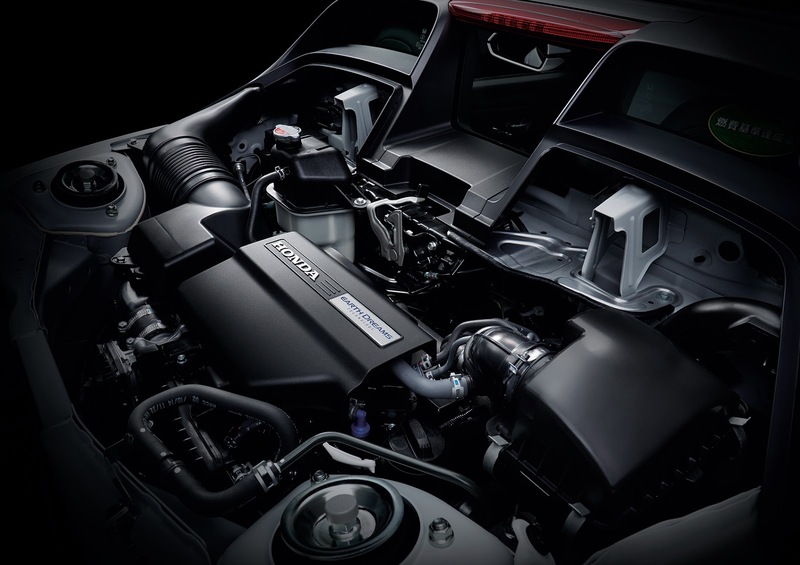 Despite the small engine, Honda says the sound is typical of a sports car, a feat accomplished by applying sound tuning techniques to the breathing and exhaust sounds of the engine and the operating sound of the turbocharger. 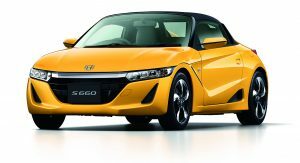 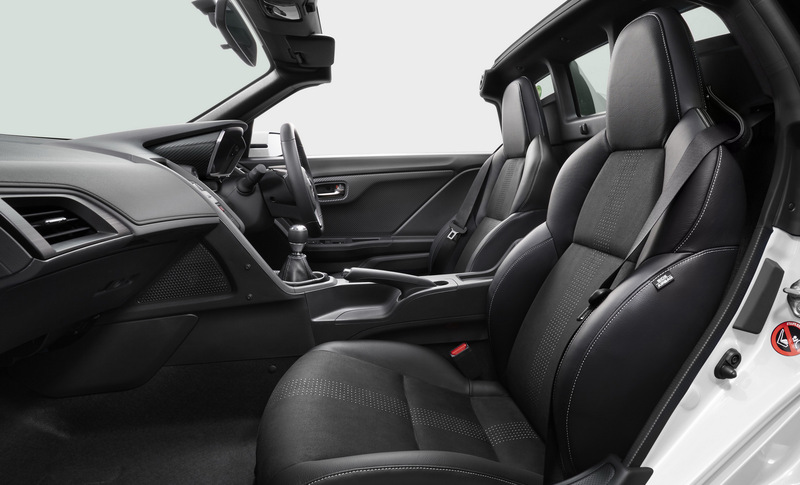 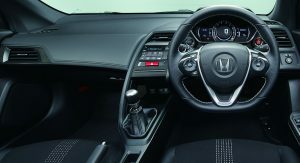 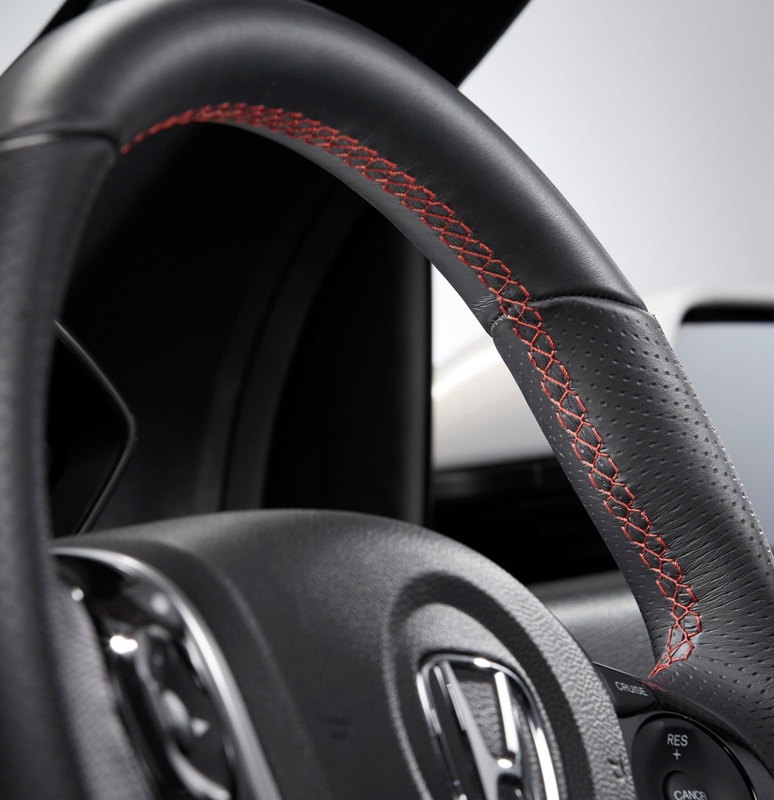 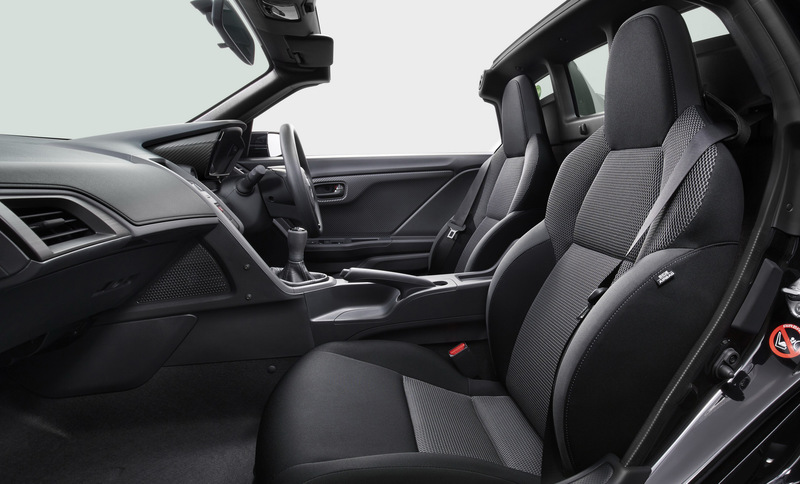 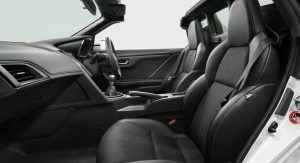 The driving position is similar to that from a go-kart, with the S660 also featuring a steering wheel with a 350mm diameter, the smallest diameter among all Honda mass-market models. 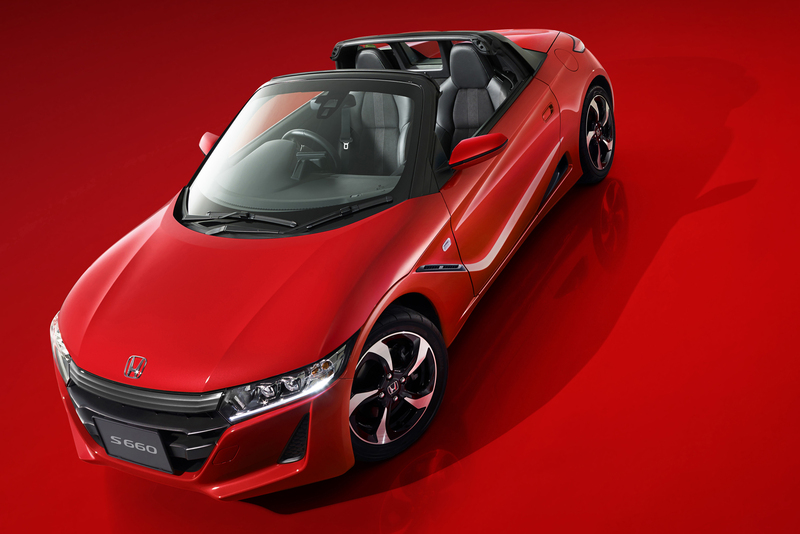 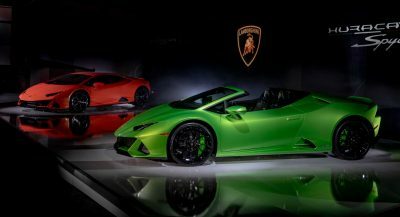 As for the S660 Concept Edition, it sports features from the pre-production study unveiled in 2013, such as the Bordeaux red roll-top, two-tone side mirrors, exhaust pile finisher with exclusive coating, water-repellent body coating “Ultra Glass Coating NEO” and interior tweaks. 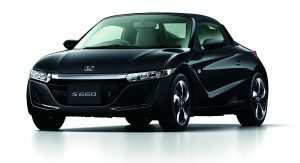 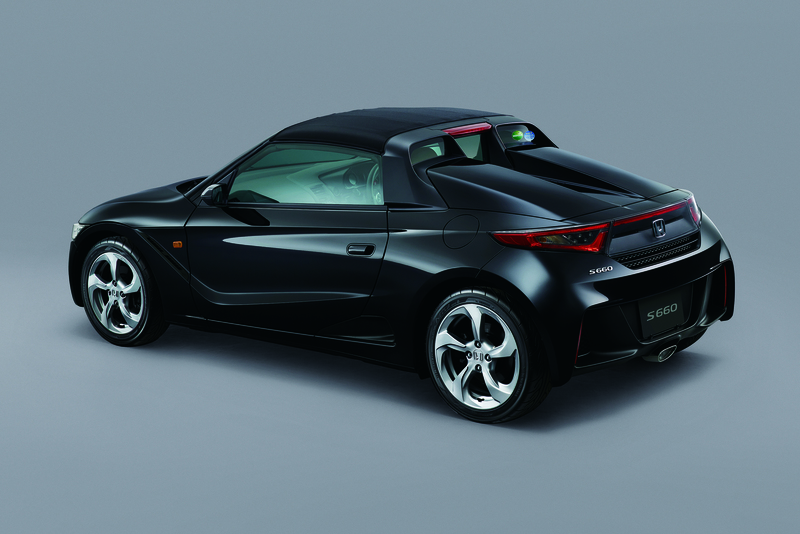 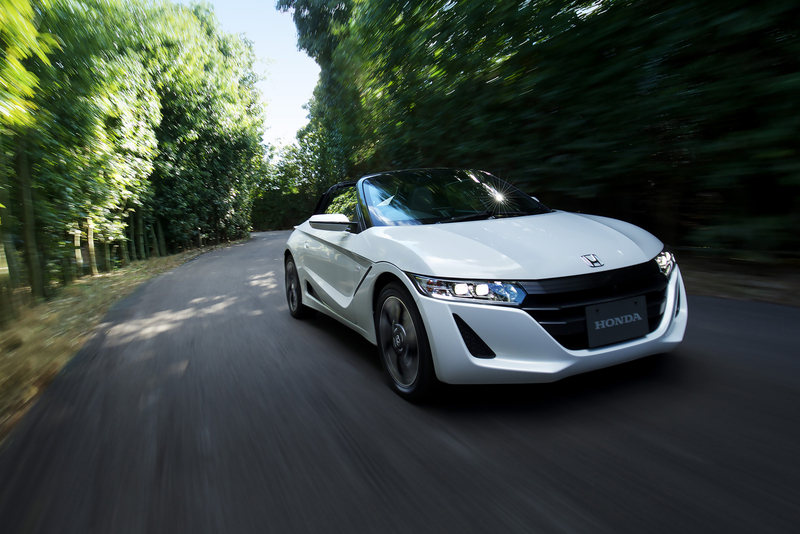 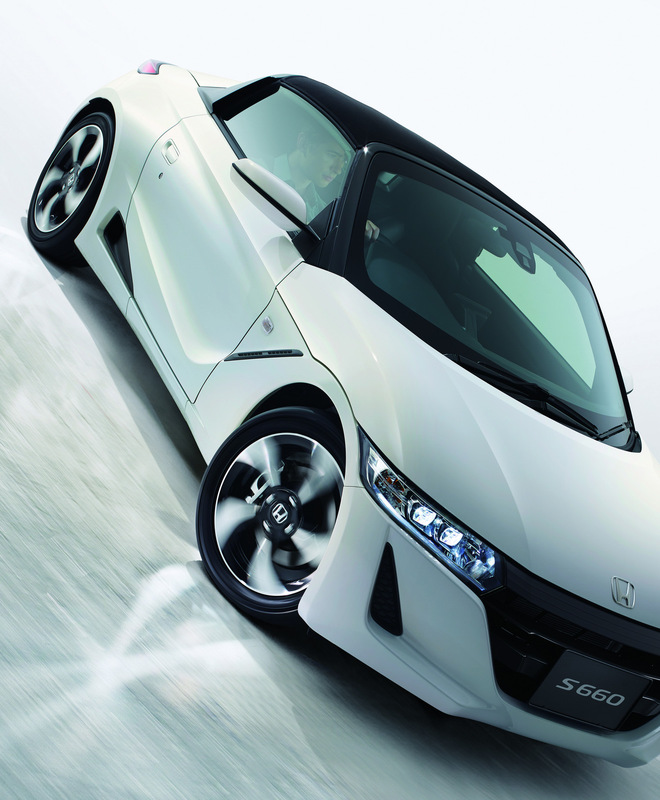 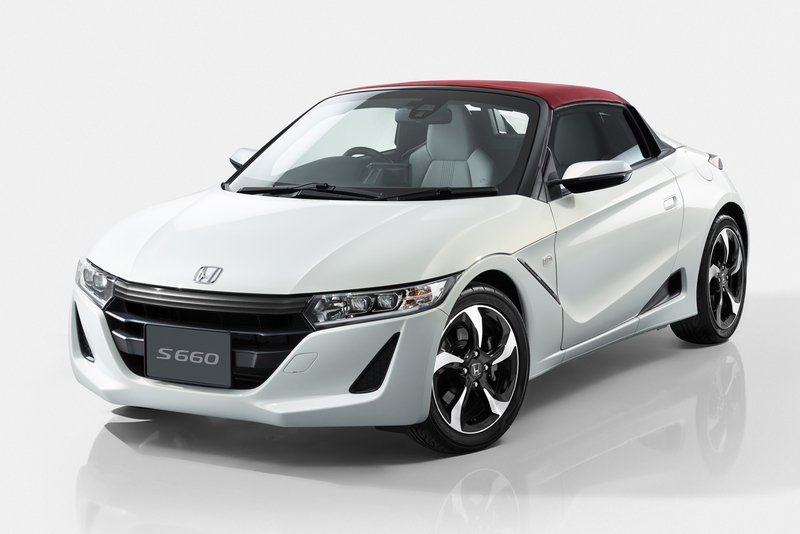 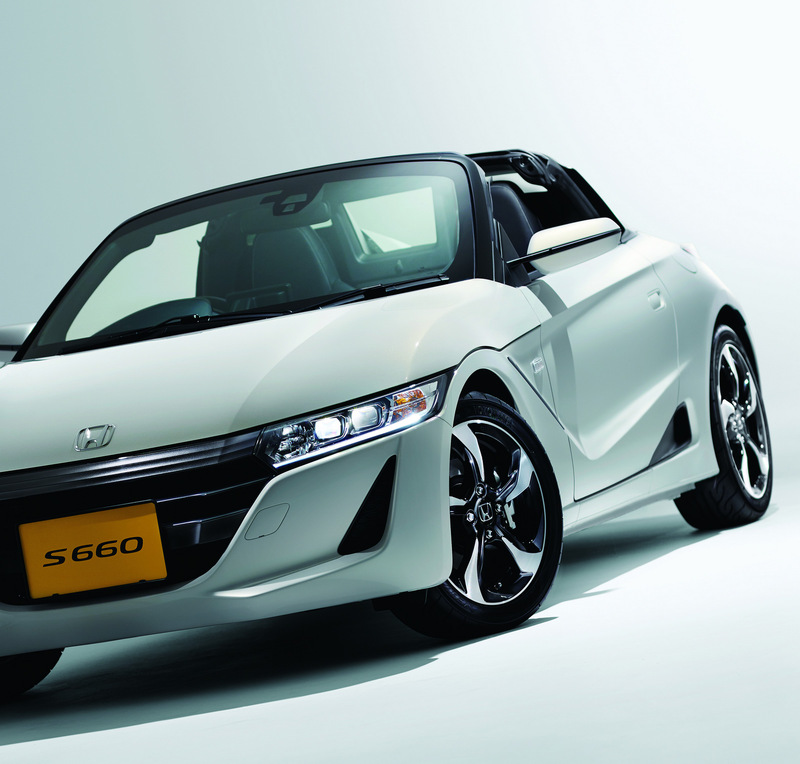 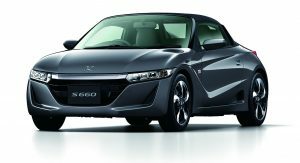 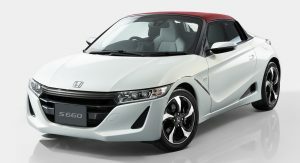 Prices for the Honda S660 start from 1,980,000 yen ($16,545).